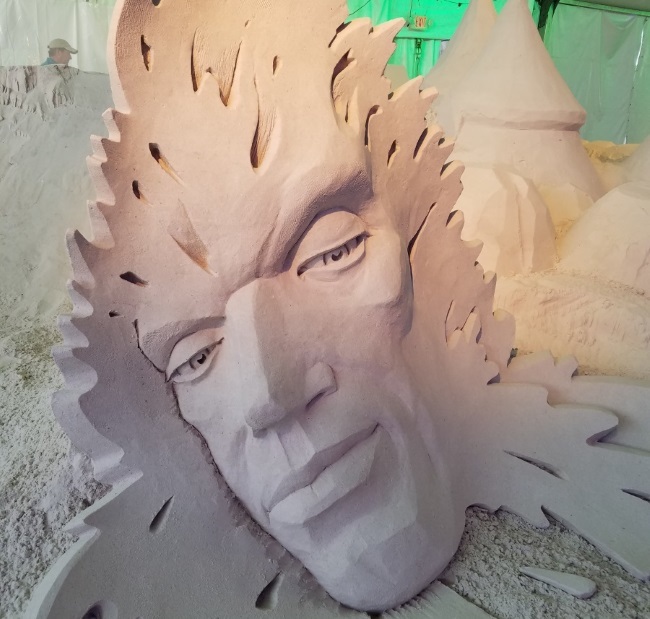 Each year the Pier 60 grounds at Clearwater Beach become a scene of the Sugar Sand Festival. It is an event around which vacations are planned and plenty of fun for the regulars is had. 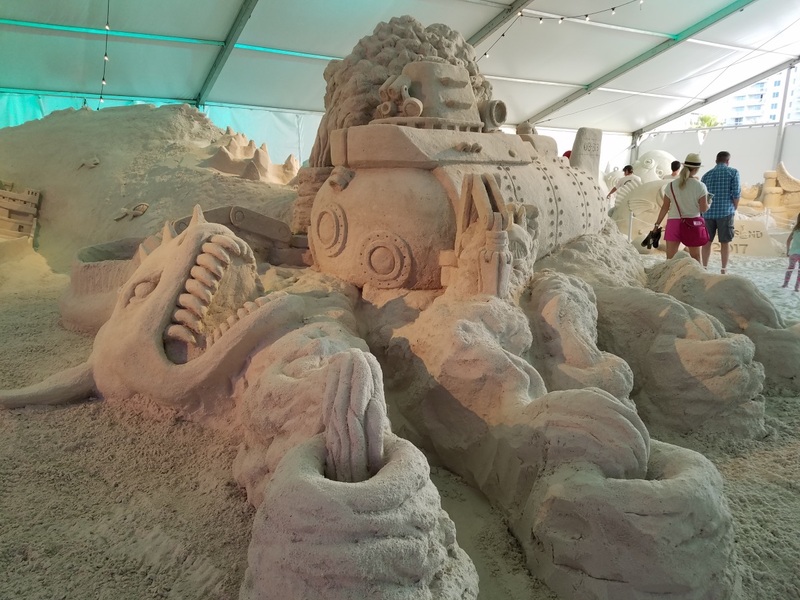 Long before the 21,000 square foot tent is opened, sand sculptors from far and wide to create their masterpieces. The tent draws plenty of attention and the anticipation rises for the opening day. 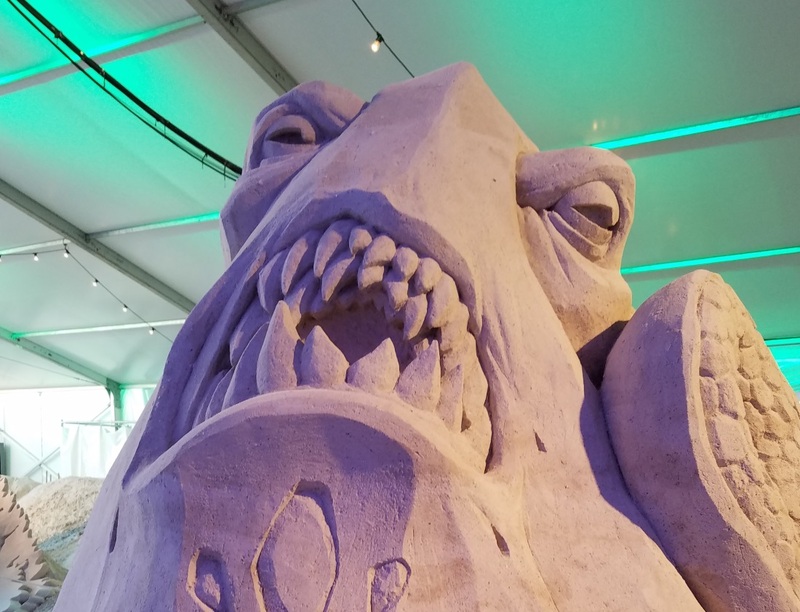 This year the ten day event paid tribute to the depths of the sea itself. On display were Davey Jones, undersea monsters, Captain Nemo’s submarine, Sponge Bob, mermaids, and more. 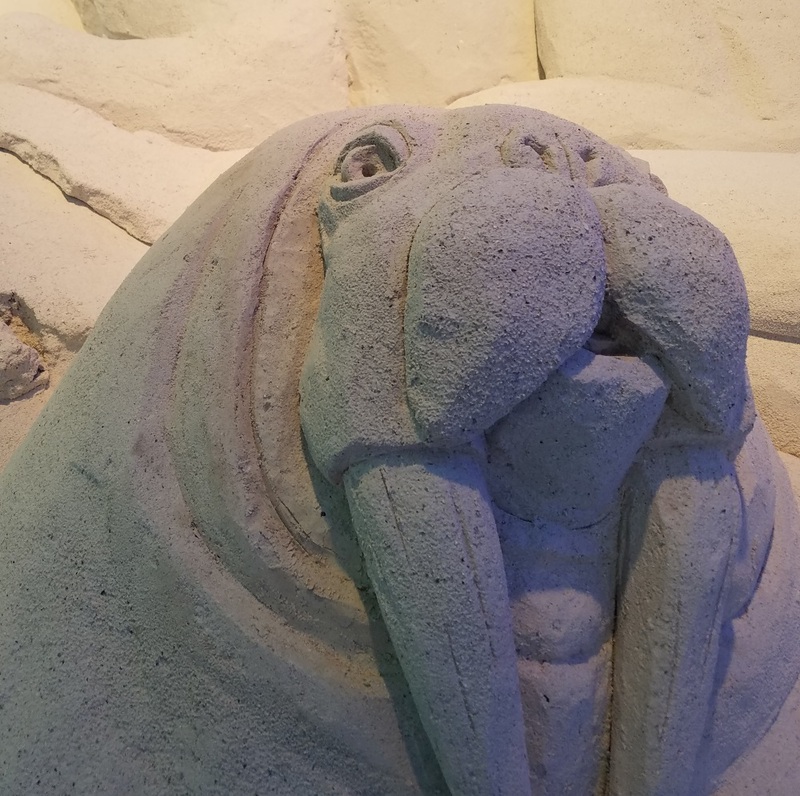 Set upon the sands of the shore, the winding trail through the sculptures takes you across the sugar-soft sands of the beach itself. Sculpted sand towered over head and plenty of the workss drew dazzled looks of appreciation from the passersby. Entry to the tent is granted for an inexpensive ticket but the insides of the tent are not the only attraction. Pier 60 is well known for its buskers and artisans and, for the Pier 60 Sugar Sand Festival, they come out in force. Instead of the daily sunset festival hours, the entertainers, artists, and vendors stay all day, and with good reason. For the ten days of the festival, the pier is the center of activity day and night, drawing crowds almost all day long. We attended the festival in the late afternoon and were treated to one of the best shows the beach has to offer. Yes, I’m talking about sunset. 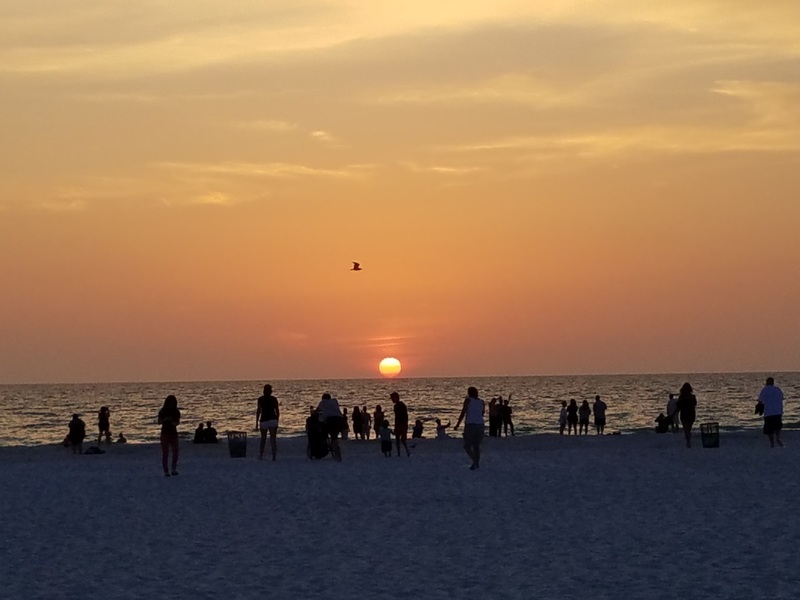 After we had watched the entertainers, browsed the wares, and strolled the giant tent of sand sculptures, we sat on the boardwalk wall and watched the sun drop down behind the sea. It was the perfect ending to a perfect day.